I’m a textile artist living and working in Neath, South Wales. My formal training was in fashion, where I specialised in shoe design. I became interested in quilt making following the birth of my son back in 1977. 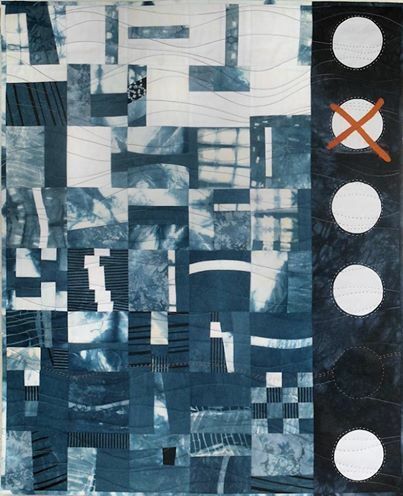 I started making art quilts in 1980 and consequently have been making them for a very long time! I love colour for its vibrant and intense nature and enjoy exploring its contrasts. I have a strong belief in the power of colour therapy in uplifting the spirit and like using colours that are often believed to not work well together. In doing this I hope to break down the boundaries of what we should do and explore the freedom that is so often lost in art when we are no longer children. My work is strongly influenced by social and popular culture that most of us can relate to, such as consumer goods, the environment, popular culture and dieting. I am also inspired by urban and natural forms, and by mixing a combination of social issues and abstract ideas with colour and texture. I exhibit my work worldwide and it can be found in international private and public collections. I have published books on art quilt making, won international awards and have been employed to work with the public on interactive quilt projects. 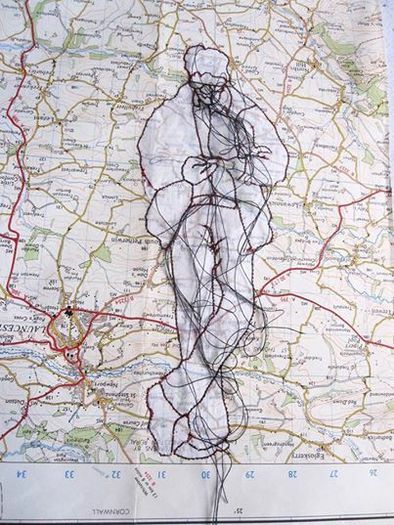 Louise has exhibited her work throughout Britain, in America, Japan, Holland and Germany. 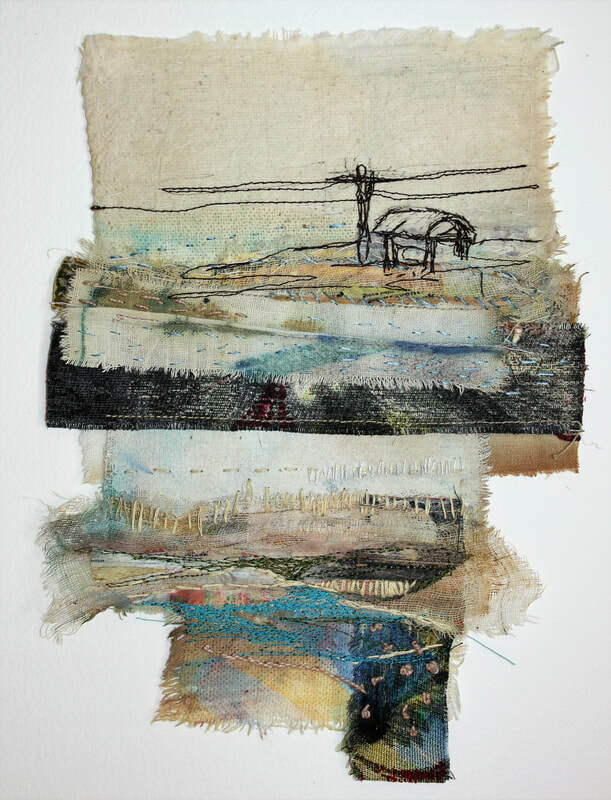 She has work in private and public collections including the Crafts Council and is an exhibiting member of The 62 Group of textile artists and Contemporary Applied Arts. 'I am interested in how we absorb knowledge and life’s experiences; selecting out the bits that resonate for us, sometimes carefully, other times by accident. It's what makes us who we are. I have been sewing all my life and was a self employed dressmaker for many years. After completing a City & Guilds Patchwork & Quilting course in 1994 I was 'hooked' on quiltmaking and have been creating art quilts and stitched pictures and hangings ever since. Thread is a major element in my work with thread and stitch providing colour and texture. All my stitching is done by machine and I enjoy 'playing' to see how different fabrics, threads and stitches react. 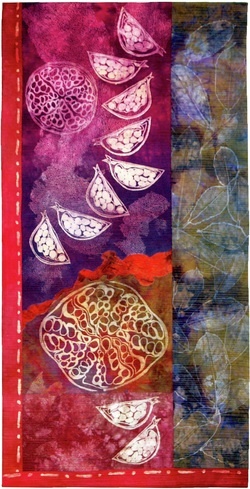 I love to experiment with mixed media, print, paint and texture. Much of my inspiration comes from the architecture and culture of places I have visited – Peru, Italy, Thailand and Mexico among others; sometimes abstract themes such as secrecy and concealment become a series and as I am a keen gardener am also inspired by my garden and the flora of the natural world. I have won many awards over the last 16 years and my work has been exhibited in the UK, Europe, Canada and the USA. 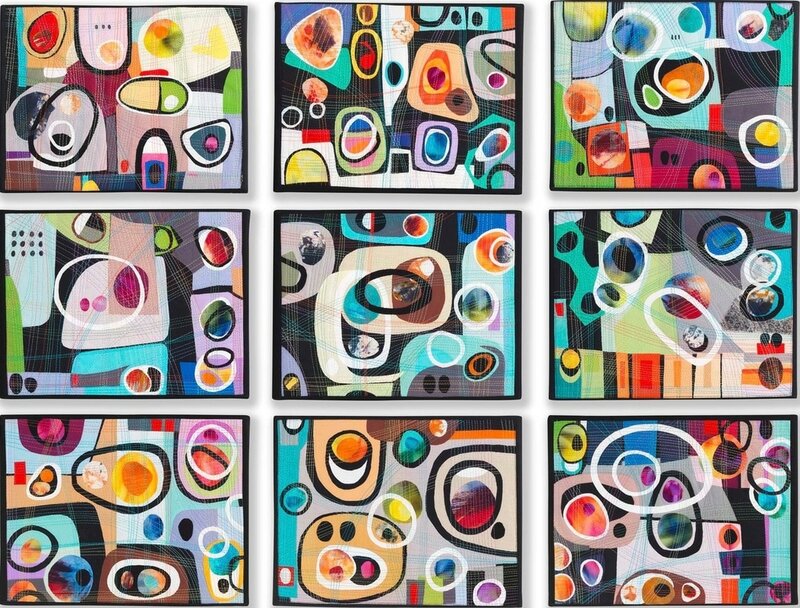 I love to design and make my own materials using fabric, paper and paint and then use these together with commercial materials to produce quilts and collages that reflect the beauty I see in the world around me. My passions are colour, form and imagery. I want to share my experience of these elements: vivid and graphic. I see a beautiful world, despite its ugly aspects and I am driven to depict this vision as I believe it is life affirming, healing, and important. I believe we are all artists, lacking only in the confidence to utilise this gift. I have also recently started making some more personal work, based on my experience of living with depression, which I hope to show together as an exhibition at some point. I started showing my work three years ago and in that time have been fortunate enough to win many awards and now exhibit widely both as a solo artist and as a member of several groups. Showing my work is of great importance to me and has resulted in sales both in the UK and abroad. I have also recently published my first book in what I hope will be a long running series looking at ways into design. I trained in fine arts and work between the disciplines of painting, drawing and textiles. 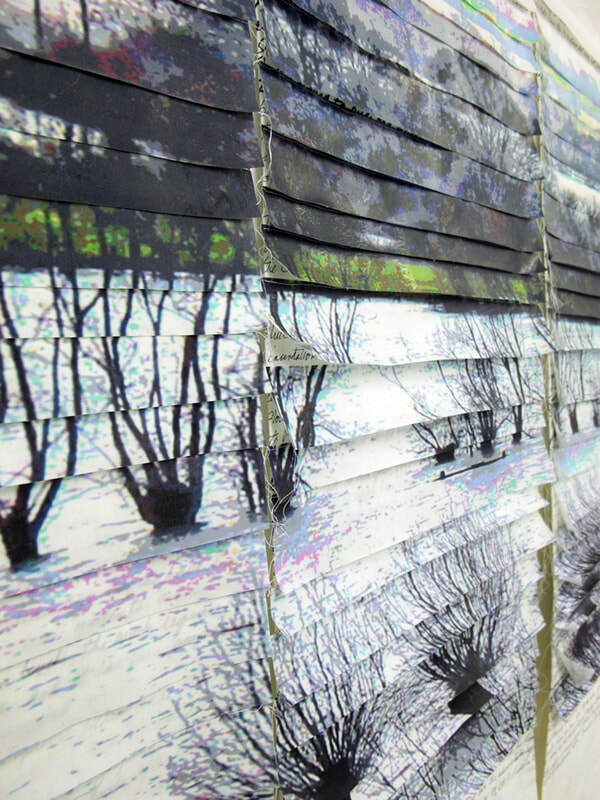 Salvaged materials are torn, cut and re-assembled to create mixed media pieces which draw their inspiration from 'hidden' or 'overlooked' observations of daily life. I make reference to the views from our windows, the weeds and flora on the verges of our roadsides, and field edges, and the places where our gardens meet the 'greater landscape. This relationship between ‘Urban' and 'Nature' has been informed by stories of my Romany grandmother, old and forgotten textiles, and the natural cycle of growth, decay and renewal. Working with 'stitch sketching', I seek to capture a moment or thing before it is gone. I produce artworks for public and private spaces and am represented in major collections including Arts Council England, Museum of Art and Design New York and the Embroiderer's Guild. My work involves using the sewing machine as a drawing tool. As I stitch I leave threads loose to create a scribbly style of drawing. 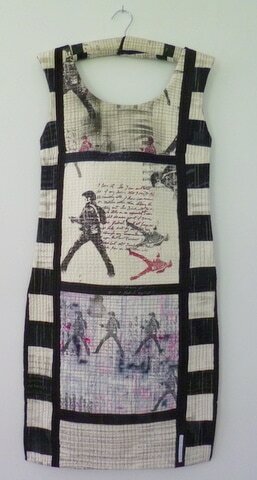 I also use hand stitched elements to piece together the images and to create a grid surrounding the figures. Drawing and mark making is developed from photographs taken of groups of people out and about. The camera can still the movement and allow a more detailed look at the individual. Stitch is used as the medium with which to explore these images because it has a connection to craft and the hand made. It gives the work a texture and movement, which is very different to anything you can get with a pencil. The marks created by the thread have a soft slightly fluffy texture, which can only be created by thread on cloth. The loose threads create links between the figures and bring a kind of movement to the work. Stitches created by the machine create a never ceasing line and it is this line which interests me. When forced to stop, loops and loose ends are left. My current explorations involve the consideration of the separation of this line from its surface. So far this has lead to large-scale figurative drawings on transparent cloth, in which the stitched line seems to float above us. I have stitched for as long as I can remember but it was when I moved to Worcestershire in the late 1980’s and took a City & Guilds course in embroidery, that textiles became my career. Since then I have taught both embroidery and patchwork and quilting courses and many textile related workshops both at home and abroad. I have exhibited in the UK, Europe and Canada independently and as a member of Six and Art Textiles:Made in Britain. I particularly like working with a theme and am always fascinated by the variety of work that is produced by group members. I enjoy all aspects of quiltmaking including designing, dyeing and printing fabrics, constructing and finally embellishing with stitch. Most of my work is fabric led, as dyeing and printing a palette of fabrics is often the starting point for a new collection of work and this is just how I am starting my textile pieces for Concealed. Art in Textiles: Made in Britain. 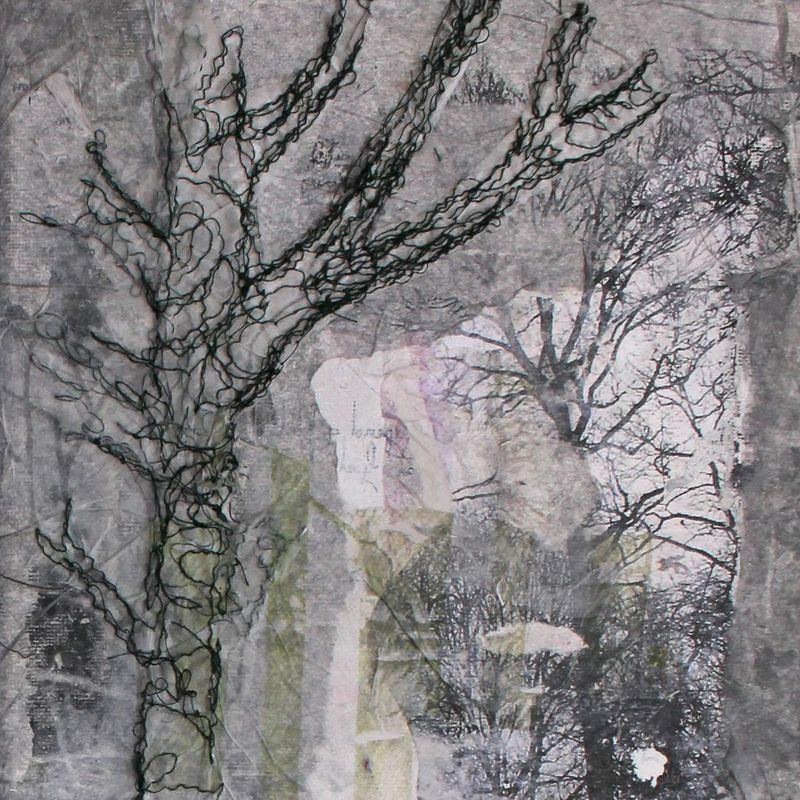 ​Sandra Meech is a mixed media artist living in Somerset. Trained as a fine artist, most of her career was in magazine publishing as a illustrator and graphic designer both in Toronto, Canada and London UK. She became interest in stitched textiles over 20 years ago. 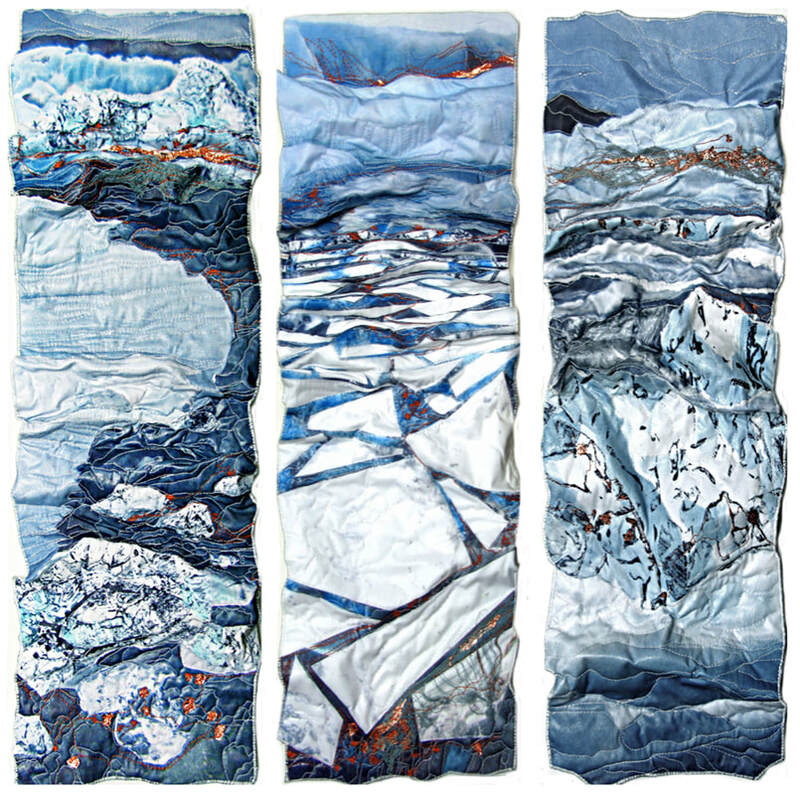 It was during the Diploma in Stitched Textiles at Windsor that research was begun based on the landscape and traditions of the Inuit in Arctic Canada, a theme that was to be developed in one form or another for many years. Global warming and the effects of climate change on forests and trees as well as in polar regions, has been seen in many series of work over the years. These pieces are often represented by a collage of transferred photo images, with painted and dyed cloth, stitched in layers. Often a layer of wireform is added for additional dimension. Recent work, since moving to Somerset, has focused on the changing landscape on the Levels and the impact of the flooding of 2013-14. As a keen photographer, she took the opportunity to take many photos during the flooding and this has inspired many new pieces of work. 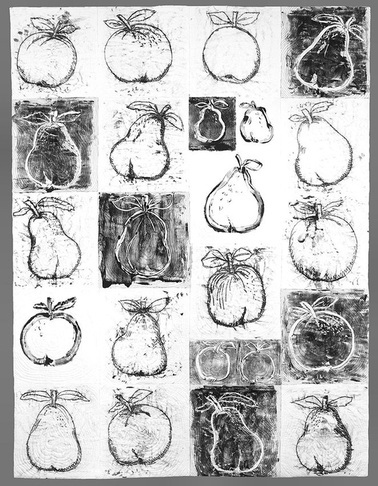 Revisiting some print techniques, including collagraphs and monoprints with added marks, has been an exciting development and new work has been exhibited in Somerset Open Studios, and will be shown in future exhibitions in the UK. 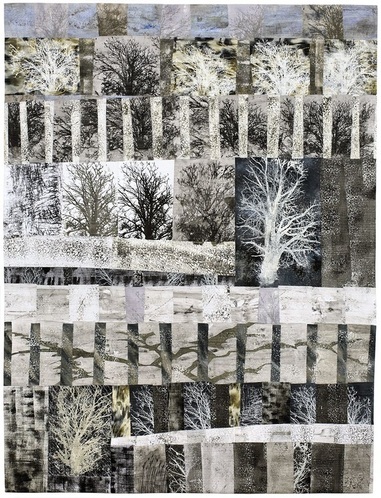 Sandra has work in public and private collections and a full gallery of work can seen in any of her 4 books from Contemporary Quilts: Design, Surface and Stitch (2003) to the latest book, Connecting Design to Stitch. 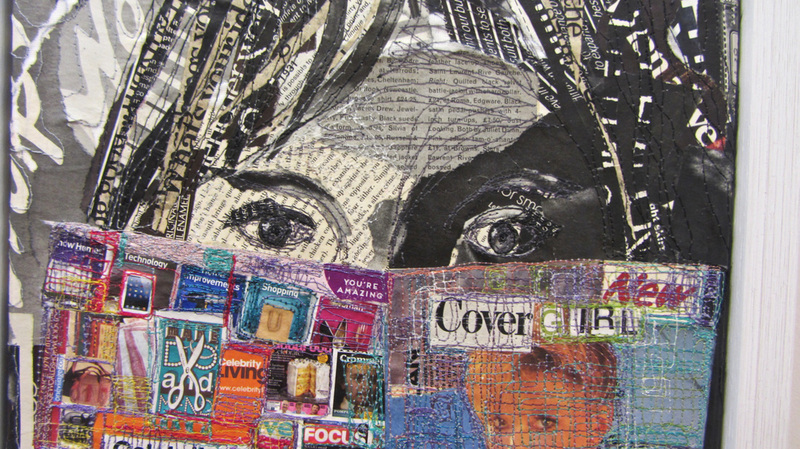 She is a member of Quilt Art, Studio21, and the South West Textile Group. I studied painting at Colchester School of Art and Hockerill College of Education in the seventies and have been painting and exhibiting my work ever since. My recent work includes oil paintings and mixed media collage on canvas in a range of subject matter including street scenes, landscape, still life and abstract work. I have always enjoyed sewing and had a keen interest in textile art but it wasn’t until 2013 when I made my first piece. continue to develop this aspect of my art. The exhibition in Japan was seen by representatives of the Tokomachi Quilt Festival and I was invited to have a small selection of textile pieces on display in 2014.
people come from all over Japan to see the quilts on display. inspired by my collection of Japanese kimono fabrics. definitely helped my textile art and I am enjoying experimenting and learning some new techniques. For 20 years I made my living from making ceramics, but alongside this practice have also produced textile pieces. I now concentrate entirely upon textiles. 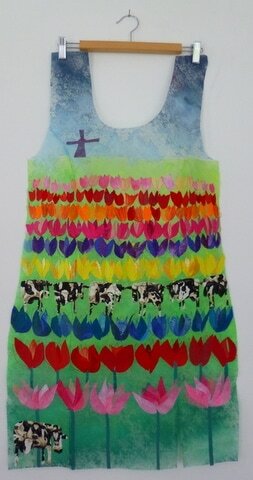 I paint, print and dye most of my fabrics, enjoying the immediate sensation of colour. I make design sheets and drawings, but the work also evolves from and is dictated by the source materials. I enjoy pattern and organising space. I collect together cloth, threads and found objects, organise and layer the design, then stitch the elements together to produce the finished work. This method is usually but not always controllable. 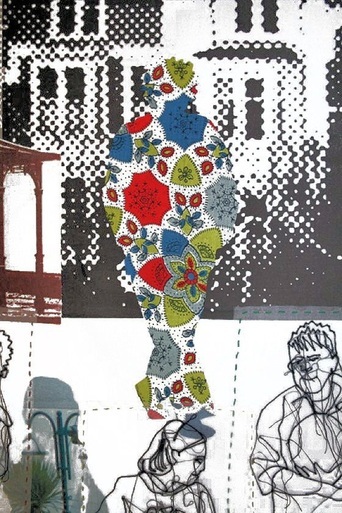 Quirky, wonderful surprises can happen due to the juxtaposition of the shapes and colours of the collage. Many of the best things that happen are unplanned, but strangely still represent that inexplicable end result that is a combination of personality, experience, life and the patterns and spaces that surround me. My inspirations are on one hand what surround me, the suburban landscape, its buildings, gardens, trees, birds. Beyond that, I am interested in all aspects of the natural world, architecture, comics, abstract and botanical art, ancient and contemporary artefacts and landscape. Christine Restall had a career as an international marketing and advertising executive, but during this time was also active as a part-time painter and quilt maker. 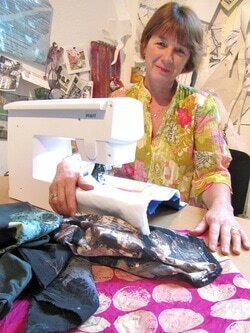 She changed direction fifteen years ago to become a full time textile artist. She is now well-known in the UK and Europe, and her work is shown regularly in cutting edge exhibitions in UK, Europe and America. She has had a number of solo exhibitions in UK and abroad. Her work is mostly abstract in expression, based on the natural world or her own feelings and memories, and sometimes with echoes of traditional forms which are used in new ways, and often employing her own hand-painted fabrics. 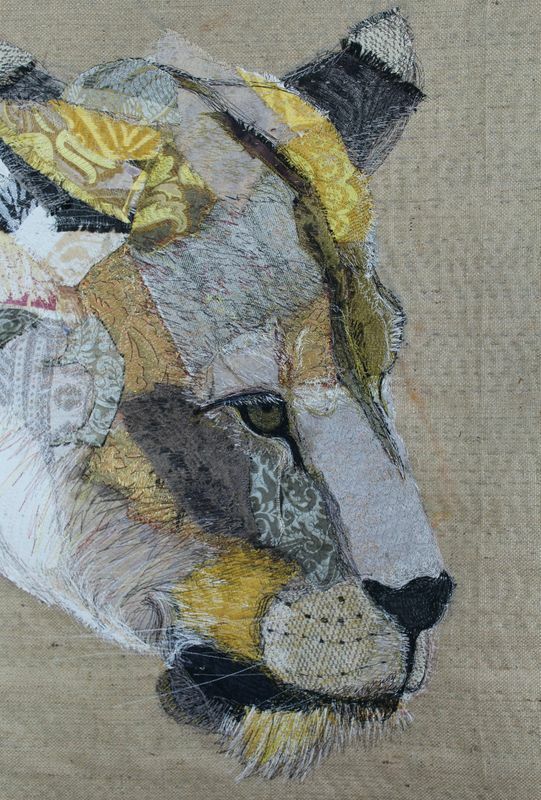 Jenny Rolfe is a textile artist with a background in quilting. She was born and educated in London and later moved to Leicestershire with her husband and children. She has had a love of stitching and textiles for as long as she can remember. After completing parts 1 and 2 of City and Guilds Patchwork and Quilting, she gained more confidence in the design aspect of quilting and soon after that she was commissioned to design five hangings to be made into kits by a national company. 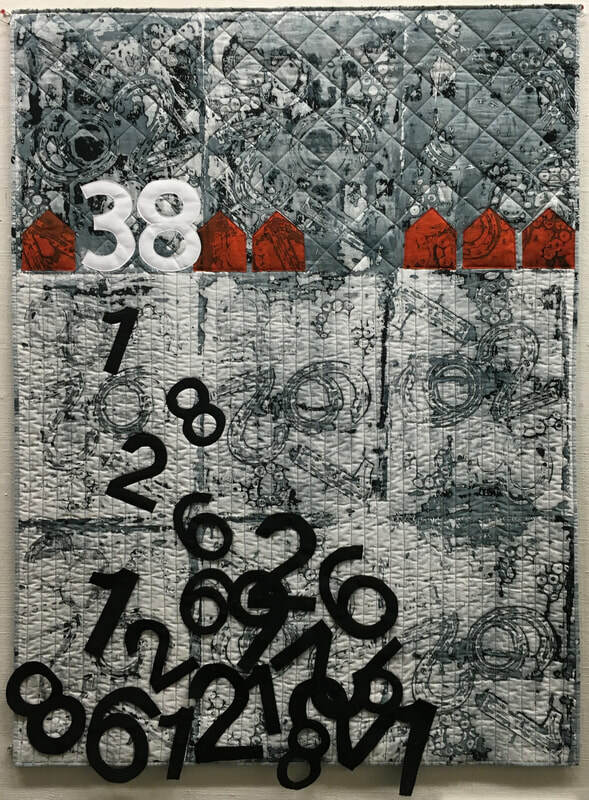 Having made many large quilts for beds and walls, she now concentrates on smaller items and her contemporary hangings are colourful and densely machine quilted and have been exhibited both nationally and internationally where they have received many awards. She has had numerous articles published in a variety of quilting and embroidery magazines and her first book ‘Embroidered Bags’ was published in January 2005. Her second book ‘Embroidered Purses’ was published in July 2007 and ‘Fabulous Bags to Stitch and Make’ was published in 2010. ​Ineke Berlyn, one of our founder members, sadly died in February 2017. An internationally famous textile artist, she was an inspiring, sharing teacher, a good friend, and always good company. Not only is her wonderful work an inspiration to all, she was an example to everyone who observed the grace with which she handled her illness. 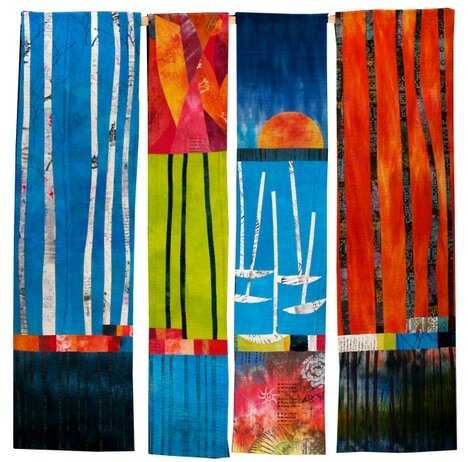 ​Our new exhibition for 2018 is entitled Wild, and has been shown at the Festival of Quilts, NEC, Birmingham UK. The show will be touring during 2019 and 2020; see Group Exhibitions for dates. We invited two guest artists to join us for this show; they are Elizabeth Brimelow and Jessica Grady. ​For more about their work follow the links. 'I am an embroidery artist, originally from the North Yorkshire coast who works from my home studio in Leeds. My original textiles are a bold and tactile exploration of colour and pattern through hand stitching and embellishment. I use a combination of processes within all of my embroideries including traditional hand embroidery techniques, hand dyeing, printing and embellished surfaces – that utilise unconventional materials'.